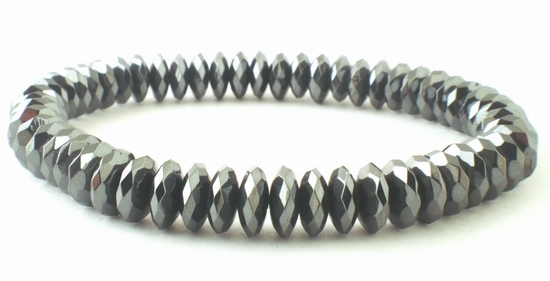 Price is per bracelet - measures 2 1/2-inch diameter, but expands to fit all. Super slick and modern looking! Each faceted diamond-shaped bead measures 8mm x 3.5mm.